One of the most significant issues facing every level of law enforcement today is an extreme lack of funding. Current budget cuts continue to affect not only law enforcement officers but also every citizen of the United States as it becomes more and more difficult for police officers to do their job. Most LEOs have seen firsthand at what happens when the money starts disappearing. Imagine having an officer responding to an “officer down” call and the transmission drops out of his cruiser due to “budget cuts.” Police departments across the nation face situations like this every day as their officers wonder if their cruiser will stay running through to the end of their shift. How many times can a cruiser leave the officer stranded, before someone is injured or worse? Retention is becoming one of the most significant issues facing many departments is attrition. More seasons officers than ever before are leaving the force to enter the private security sector or for many other careers. They leave because the risks associated with their jobs continue to increase and the budget cuts continue to prevent them from receiving well-earned pay raises. The same applies to being able to recruit new officers. 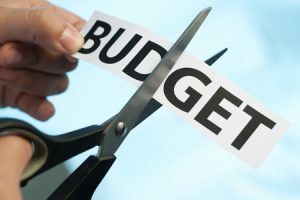 When it can take up to 10 years for the average officer to earn what a 25-year-old college graduate with a degree in electrical engineering can earn straight out of school, it’s easy to see why recruiting and keeping good officers is becoming more difficult with every round of budget cuts. With a lack of available funding also comes a department’s inability to provide their officers with many of the latest technological advances available. This lack of equipment can place officers in dangerous situations that could easily have been avoided. A lack of investigative equipment can also have a dramatic impact on a police department’s ability to solve crimes, which in turn can lead to criminals being able to walk free instead of being convicted and sentenced. Imagine having to explain to an officer’s widow why his armored vest was not new enough to offer enough protection. What do you tell an officer’s spouse when they are wounded or taken by surprise because they have to go into a situation without backup? These are the situations law enforcement officers and their family’s face every day of the year, yet budgets continue to be slashed. Day after day our men and women in blue face life and death situations, often ill-equipped, under-supported, and under-trained to take on the role of “Protect and Serve.” The one thing you can count on is that no one is the business of law enforcement for the money. They do so as a way of giving back to the community, to make those who live in them safer, and to continue reducing crime. It is for these reasons that organizations like the National Police Support Fund and the National Police Association continue to fight for better funding.